It’s here, it’s here! Check it out. 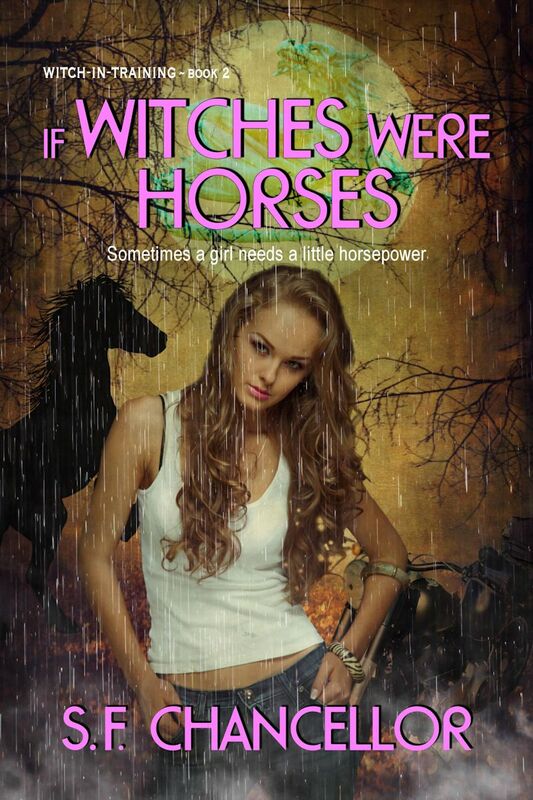 Book Two of the Witch-in-Training series, If Witches Were Horses, is available now. The week of Thanksgiving is usually dull. Unless you’re Cali French, that is. When her parents leave her home alone after dropping a bombshell about her family, she sets out on a quest to find out the real truth about her past even though her parents have forbidden her to leave the house in their absence. The witch-in-training faces many obstacles on her journey. Some terrifying, some that would be amusing if not so dangerous, and some downright wicked. Accompanied by her best friend, a giant named Myron and her guardian angel, Alastair, Cali fights to find what she thinks she was denied. Her magic skills will be called into service again as Cali’s trip turns out to be the stuff of nightmares.